Lamont Woods Killed in Greenbelt Apartment Shooting; Security Lapse? Could the senseless loss of this young man have been prevented and are justice and compensation available to Mr. Woods’ family? Security measures are in question after 26-year-old Lamont Woods was fatally shot “in the stairwell of an apartment building” in Greenbelt early Tuesday morning, September 18, 2018, according to The Washington Post. 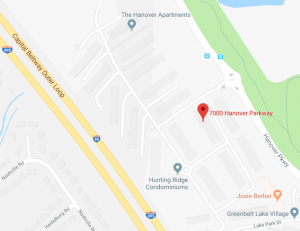 Police told WTOP they discovered Mr. Woods “suffering from gunshot wounds just after 2 a.m. Tuesday in the 7000 block of Hanover Parkway near the Outer Loop of the Capital Beltway.” Investigators are apparently still searching for suspects. Have there been prior incidents of violence on or near property? What security measures, such as gated-entry, bright lighting, fencing, surveillance cameras, and security patrols, were in place to deter crime and protect Mr. Woods at the time of the shooting? Generally, property owners are required to protect all those legally on the premises from any foreseeable harm. Should the facts of this matter reveal that the apartment complex owner or management failed to provide adequate security to protect those on its premises, Lamont Woods’ family may seek justice and elect to pursue legal claims for his wrongful death.